"Hōji" is a word we generally use to refer to periodic Buddhist memorial services that are performed on set dates for people who have passed away. We hold these services on the 49th day, the 100th day, the first anniversary, the third anniversary, and so on, following a person's death. "Hōji" is written with Chinese characters that mean "Dharma affair", a word that originally meant "Buddhadharma." A con-tinuous chain of life from long, long ago has made our present life possible. A memorial service is an important opportunity to look back on your own everyday life in front of your departed ancestors. In India, the birthplace of Buddhism, memorial services were held every seven days after a person's death for seven weeks. The counting system in ancient India was based on the number seven which explains why these services were held every seven days. The ceremonies conducted during this interval of 49 days were thought of as helping the departed person cross over to the world of peace and quiet. The 49th day was known as the "Great-training-bereavement." This idea of "training" was also understood as being "convinced, satisfied, or enlightened." Holding this service is an important practice through which we come to accept a person's death by reflecting on the impermanence of life. The memorial service held 100 days following a death is also known in Japanese as "Sokkoku-ki." 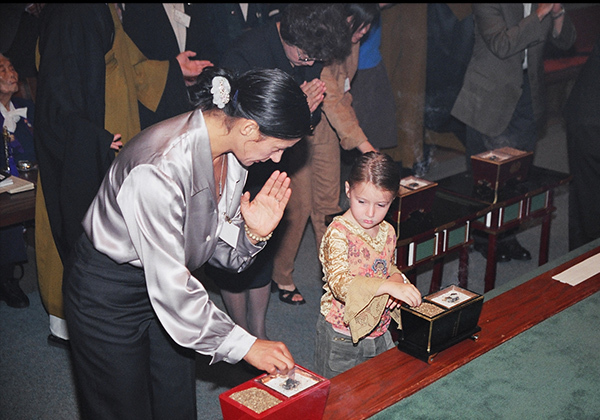 The origin of this ceremony goes back to ancient China where the bereaved family consoled the spirit of the deceased person. The 100th day marked the time from which the family vowed to stop mourning. The notion behind this was to release the departed spirit from the pain of seeing family and friends continue to grieve the death and allow those who were living to move forward with their lives. If you wish to hold a memorial service, please pick several dates that are suitable for you and your family and then contact the temple. Most memorial services are held at the temple, although it is also possible to hold them at your home or at the grave or inurnment site. If you plan to invite other relatives and friends, then it is best to plan as far in advance as possible. Please consult with the temple priests regarding the preparations and procedures for a memorial service. Following the service, it is common, as one part of the offering, to recall the life of the departed person at a meal taken together or while drinking tea. 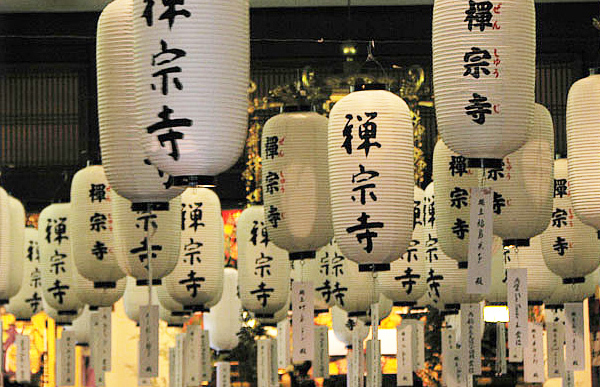 There are also regular monthly ceremonies called "Shōtsuki Hōyō" in which general memorial services are performed for those who have family members who have passed away in that month. These services vary from temple to temple so please don't hesitate to ask the priests about them.